Race directors can get an overview of date availability using the User Calendar view. Clicking the Request Race Services button takes the race director to the Race Services Request View. 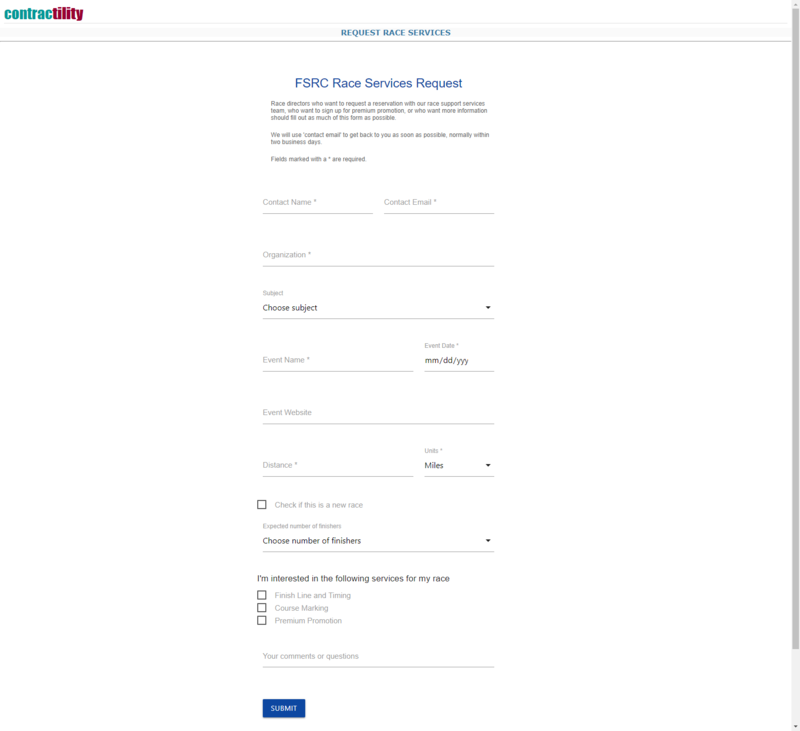 The Race Services Request view is used by the race director to request race services. This form generates an email to raceservices@steeplechasers.org. The Accept Agreement view is used to capture the race director’s consent to the Race Support Agreement. The race director is given the option to view or download the agreement using links in the form. When the YES, I AGREE button is clicked, the event state moves to committed. The Agreement Accepted view is displayed when the race director agrees to the Race Support Agreement.